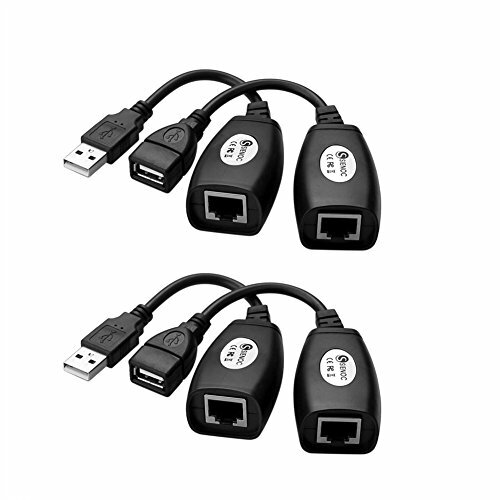 This USB extension adapter allows you to connect your USB device to your computer at a distance of up to 150ft with the help of a Cat5e/Cat6 patch cable (LAN cable not included). The adapter will allow you to have your USB cameras, printers, web cams, keyboard/mouse extensions or any other USB device exactly where you want it without having to move around your computer. 4,If the cable doesn't work,customer should check if he has connected the cable well.You can try to reconnect it .